The construction of the latest generation Particle Accelerator or Synchrotron (locally known as ALBA) in the El Vallès high-tech zone of Barcelona is now well underway. This will be Europe's fourth, and the only one available in southern Europe. Other fourth-generation synchrotrons are found at Switzerland (SLS, in Zurich), Great Britain (Diamond, in Daresbury) and France (Soleil, in Grenoble ). 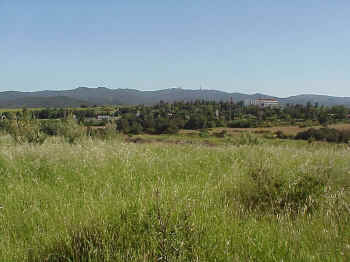 The laboratory currently under construction occupies an area of nearly 15 acres near Parc Tecnologic. The construction started in 2004 with geotechnical studies, followed by site conditioning in 2005 and the actual construction of the facility beginning in 2005. The completion of the whole complex is expected by 2010. The booster and storage ring will be installed in 2008. The new Synchrotron has a X-ray beam ten thousand times brighter than that of the second generation accelerator, opening up a number of totally new capabilities with applications for industry. 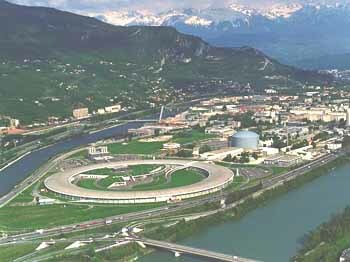 Spanish researchers will no longer have to travel to the French city of Grenoble, where the nearest Synchrotron is located. This will be Spain's most important scientific installation, a huge boost for the Barcelona high-tech industry and may set in chain self-sustained growth in this sector enabling Barcelona to become the leading high-tech growth pole in southern Europe. 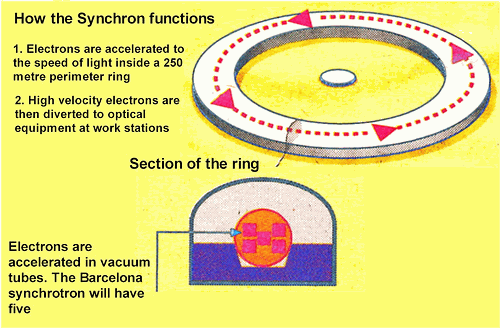 The synchrotron is a machine that through the acceleration of electrons is able to provide light of sufficient intensity to penetrate materials to observe their atomic structure. Its numerous applications range from the manufacture of new molecules and materials to the design of new microcircuits. The Synchrotron will serve a minimum of 160 research groups, formed by around 750 researchers, in several areas such as biology, biotechnology, new materials, nano-technology, condensed matter, and surface science. Spanish researchers already have notable experience in the use of other installations of this type in the World and in the period 1995-2000 more than 60 groups have used installations in Europe, Japan and the United States of America. Likewise, the Synchrotron will be open to international collaborations, as well as to the industrial and university sectors. The synchrotron's characteristic beam of light has an intensity more than a million times greater than that of the light from any conventional source. To obtain this, the electrons are accelerated by means of the application of high voltages and radio frequencies in a 250 metre perimeter enclosed storage ring until they reach velocities that approximate to the speed of light. Once the electrons have reached 99.99986 per cent the speed of light, very powerful electro-magnets direct them as a light beam towards workstations containing optical instruments and detectors. 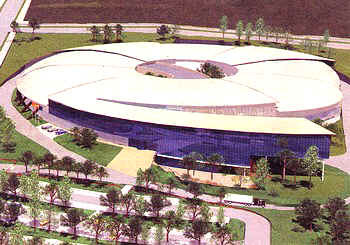 Approximately half of the synchrotron's hours will available to private companies for rent. The project has been the brainchild of a group of researchers from the Autonomous University of Barcelona, headed by Ramon Pascual and Joan Bordas. Several Spanish cities have dreamed of obtaining the installation, among them Seville and Madrid, although Barcelona has always been the leading candidate. The installation is a result of a specific request from the president of the Generalitat to Spain's then Prime Minister, Jose Maria Aznar, during a visit to the United States. 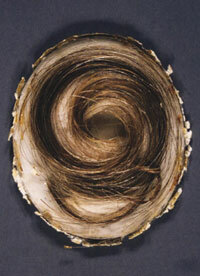 Scientists used synchrotron light in September 2000 to test the lead content of Beethoven's hair. They found elevated lead levels. This provides evidence that Beethoven had plumbism (lead poisoning) which may have caused his life-long illnesses, affected his personality, and possibly contributed to his death.